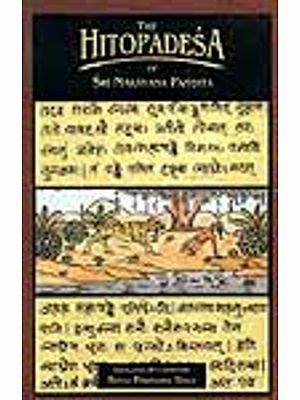 Vidura Niti is a well-known and highly beneficial part of the Mahabharata. 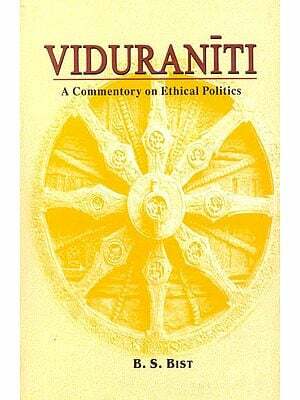 In these chapters, Mahatma Vidura has explained to the King, Dhrtarastra several issues relating to human welfare in this and the other world. The following extract consist of eight chapters (33-40) of the Udyoga Parva of the Mahabharata. Several Sanskrit commentaries have been published on the Vidura Niti. In these chapters, while advising on the duties of a king, that is Raja Dharma, several other issues have been discussed in eye-catching detail. 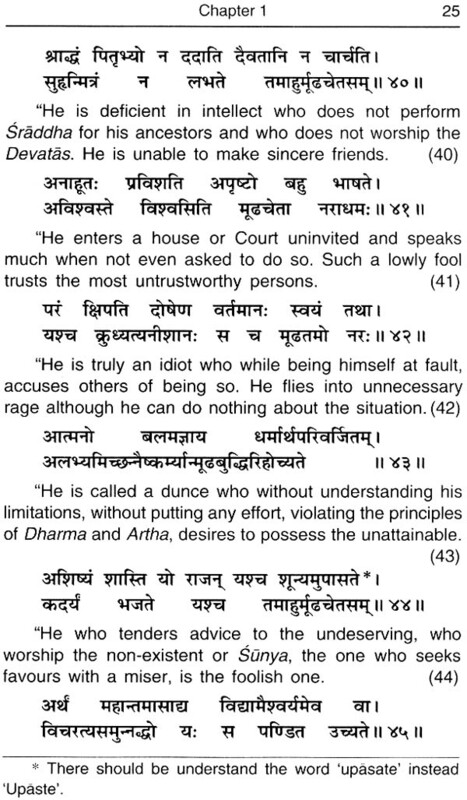 Some of these are: Polity, interaction, treatment of others, truthful behaviour, Dharma, means to achieve happiness and eschew actions that lead to suffering, discrimination between undesirable and desirable qualities, importance of renunciation, different facets of justice, Truth, human welfare, forgiveness, non- violence, attributes of a friend, and consequences of ingratitude. 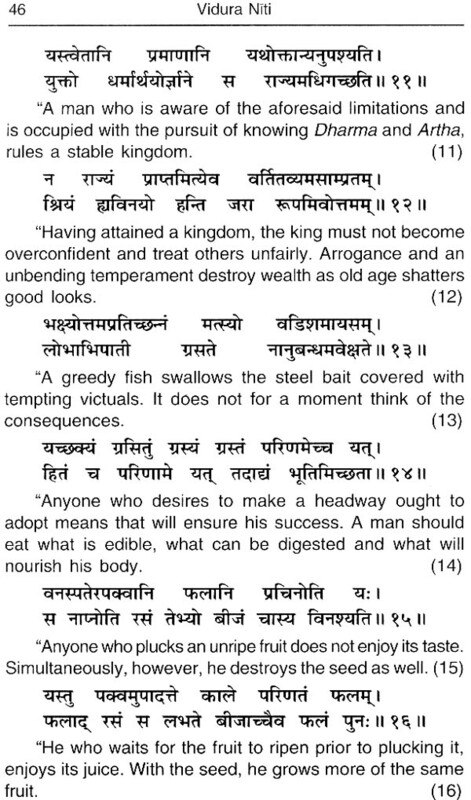 The author has lucidly delineated the duties of a king while stressing upon the virtue of giving up greed. Vidura Niti will benefit the illiterate as well the learned, the adults, the aged and the young, the women, the rulers and the subjects, the rich and the poor, the teacher as well as the student, those busy in serving others, and those desirous of living a clean and happy life. The Stokes have been translated in simple language. 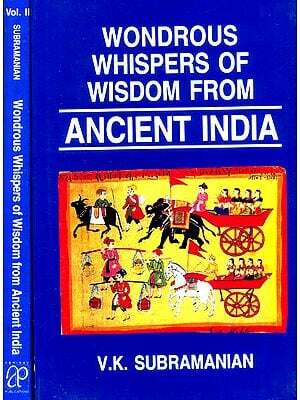 We hope that Indians of whatever class or region they might belong to benefit from this book. 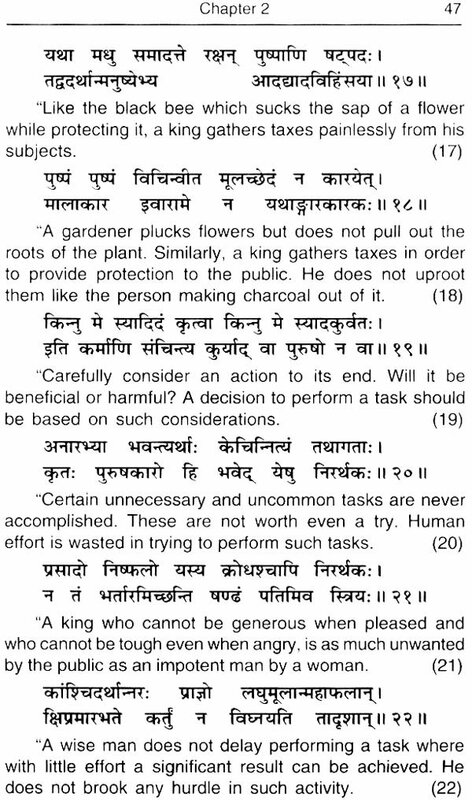 The conversation reproduced below takes place between the Hastinapur king, Dhrtarastra and his cousin Vidura. 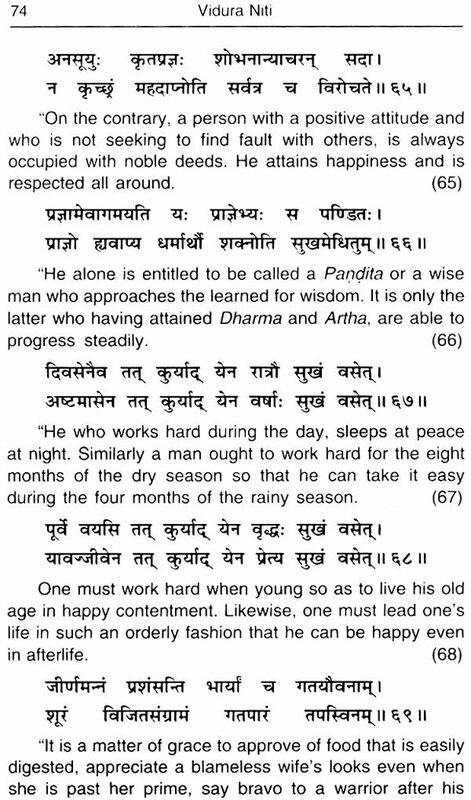 It is contained in eight chapters of the Udyoga Parva of the epic, the Mahabharata. A tussle is going on between the king's sons, the Kauravas led by Duryodhana, the eldest prince and their cousins, the Pandavas, led by Yudhisthira for an equitable division of the kingdom. 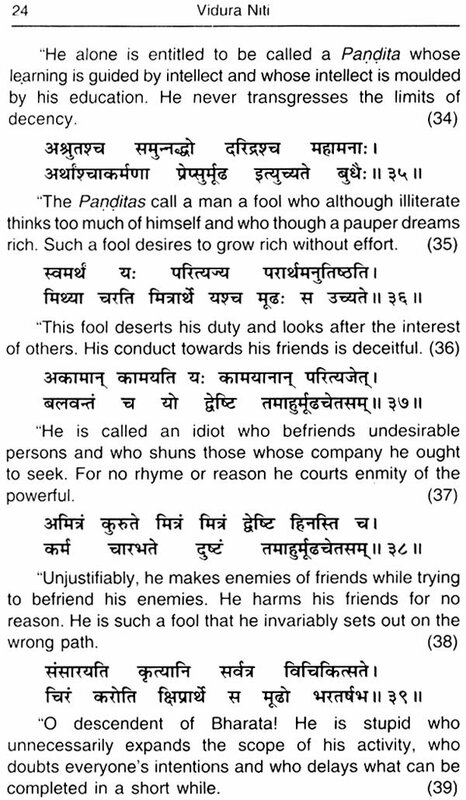 Sanjaya, the king's confidante and charioteer, had gone to placate the Pandava princes. The tidings he brought gave no cheer to the blind king who wanted his son, Duryodhana to inherit the entire kingdom. 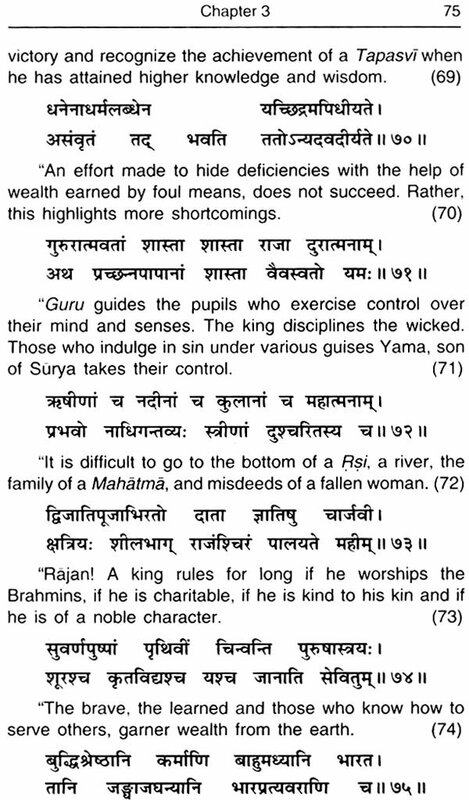 The narrator is R$i Vaisarnpayana, a celebrated pupil of Vyasa. He is said to have recounted the whole of Mahabharata to king Janamejaya, son of Panksita, grandson of Arjuna, the Pandava prince. 51 Who deserved the kingdom?